Second Half ends, Dynamo Kyiv 3, Skenderbeu Korce 1. Corner, Dynamo Kyiv. Conceded by Gledi Mici. Attempt missed. Suad Sahiti (Skenderbeu Korce) right footed shot from more than 35 yards misses to the left. Assisted by Bruno Dita. Corner, Skenderbeu Korce. Conceded by Maxim Koval. Attempt missed. Enis Gavazaj (Skenderbeu Korce) left footed shot from outside the box is close, but misses to the right. Assisted by Bruno Dita. Foul by Mykola Morozyuk (Dynamo Kyiv). Marko Radas (Skenderbeu Korce) is shown the yellow card for a bad foul. Foul by Marko Radas (Skenderbeu Korce). Dieudonne Mbokani Bezua (Dynamo Kyiv) wins a free kick on the left wing. Delay in match Mykola Morozyuk (Dynamo Kyiv) because of an injury. 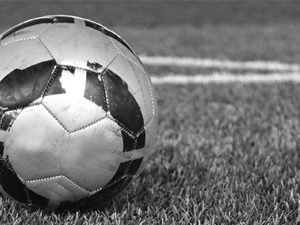 Hand ball by Oleg Gusev (Dynamo Kyiv). Attempt missed. Kristi Vangjeli (Skenderbeu Korce) right footed shot from the right side of the box misses to the right. Substitution, Dynamo Kyiv. Oleg Gusev replaces Derlis González. Attempt saved. Mykola Morozyuk (Dynamo Kyiv) right footed shot from outside the box is saved in the bottom left corner. Serhiy Sydorchuk (Dynamo Kyiv) wins a free kick in the attacking half. Offside, Dynamo Kyiv. Vitaliy Buyalskiy tries a through ball, but Dieudonne Mbokani Bezua is caught offside. Substitution, Skenderbeu Korce. Suad Sahiti replaces James Adeniyi. Corner, Skenderbeu Korce. Conceded by Tamás Kádár. Vitaliy Buyalskiy (Dynamo Kyiv) is shown the yellow card for a bad foul. Foul by Enis Gavazaj (Skenderbeu Korce). Domagoj Vida (Dynamo Kyiv) wins a free kick in the defensive half. Substitution, Dynamo Kyiv. Mykola Morozyuk replaces Viktor Tsygankov. Substitution, Skenderbeu Korce. Fidan Aliti replaces Bajram Jashanica because of an injury. Foul by Sabien Lilaj (Skenderbeu Korce). Derlis González (Dynamo Kyiv) wins a free kick on the left wing. Goal! Dynamo Kyiv 3, Skenderbeu Korce 1. Dieudonne Mbokani Bezua (Dynamo Kyiv) converts the penalty with a right footed shot to the bottom right corner. Gledi Mici (Skenderbeu Korce) is shown the yellow card for a bad foul. Penalty conceded by Gledi Mici (Skenderbeu Korce) after a foul in the penalty area. Penalty Dynamo Kyiv. Tamás Kádár draws a foul in the penalty area. Corner, Dynamo Kyiv. Conceded by Marko Radas. Attempt blocked. Derlis González (Dynamo Kyiv) right footed shot from the left side of the box is blocked. Assisted by Dieudonne Mbokani Bezua. Attempt missed. Marko Radas (Skenderbeu Korce) right footed shot from outside the box misses to the right following a corner. Corner, Skenderbeu Korce. Conceded by Dieudonne Mbokani Bezua. Attempt blocked. Marko Radas (Skenderbeu Korce) right footed shot from outside the box is blocked. Enis Gavazaj (Skenderbeu Korce) wins a free kick in the attacking half. Substitution, Skenderbeu Korce. Enis Gavazaj replaces Tefik Osmani because of an injury. Attempt missed. Moraes (Dynamo Kyiv) right footed shot from outside the box is high and wide to the right from a direct free kick. Delay in match Tefik Osmani (Skenderbeu Korce) because of an injury. Kristi Vangjeli (Skenderbeu Korce) is shown the yellow card for a bad foul. Moraes (Dynamo Kyiv) wins a free kick in the attacking half. Josip Pivaric (Dynamo Kyiv) wins a free kick in the defensive half. Foul by Derlis González (Dynamo Kyiv). Goal! Dynamo Kyiv 2, Skenderbeu Korce 1. Moraes (Dynamo Kyiv) left footed shot from very close range to the bottom left corner. Assisted by Derlis González. Goal! Dynamo Kyiv 1, Skenderbeu Korce 1. Serhiy Sydorchuk (Dynamo Kyiv) right footed shot from outside the box to the top right corner. Assisted by Viktor Tsygankov. Attempt missed. Dieudonne Mbokani Bezua (Dynamo Kyiv) right footed shot from the centre of the box is high and wide to the left. Assisted by Moraes. Substitution, Dynamo Kyiv. Moraes replaces Denys Garmash. 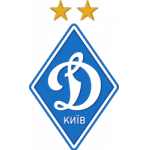 Second Half begins Dynamo Kyiv 0, Skenderbeu Korce 1. First Half ends, Dynamo Kyiv 0, Skenderbeu Korce 1. Domagoj Vida (Dynamo Kyiv) wins a free kick in the attacking half. Attempt missed. Dieudonne Mbokani Bezua (Dynamo Kyiv) right footed shot from outside the box is close, but misses to the left. Assisted by Yevhen Khacheridi. Offside, Dynamo Kyiv. Tamás Kádár tries a through ball, but Dieudonne Mbokani Bezua is caught offside. Derlis González (Dynamo Kyiv) wins a free kick on the right wing. Gjergji Muzaka (Skenderbeu Korce) is shown the yellow card for a bad foul. Dieudonne Mbokani Bezua (Dynamo Kyiv) wins a free kick in the attacking half. Attempt missed. Viktor Tsygankov (Dynamo Kyiv) left footed shot from outside the box is high and wide to the left from a direct free kick. Goal! 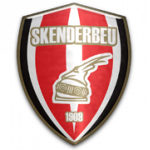 Dynamo Kyiv 0, Skenderbeu Korce 1. Gjergji Muzaka (Skenderbeu Korce) right footed shot from outside the box to the bottom right corner. Assisted by Ali Sowe. Serhiy Sydorchuk (Dynamo Kyiv) wins a free kick in the defensive half. James Adeniyi (Skenderbeu Korce) wins a free kick in the defensive half. Foul by Domagoj Vida (Dynamo Kyiv). Attempt saved. Derlis González (Dynamo Kyiv) right footed shot from the centre of the box is saved in the bottom left corner. Assisted by Josip Pivaric. Attempt blocked. Josip Pivaric (Dynamo Kyiv) left footed shot from outside the box is blocked. Assisted by Viktor Tsygankov. Foul by James Adeniyi (Skenderbeu Korce). Dieudonne Mbokani Bezua (Dynamo Kyiv) wins a free kick on the right wing. Offside, Dynamo Kyiv. Derlis González tries a through ball, but Dieudonne Mbokani Bezua is caught offside. Attempt blocked. Denys Garmash (Dynamo Kyiv) left footed shot from the centre of the box is blocked. Assisted by Derlis González. Attempt missed. Domagoj Vida (Dynamo Kyiv) header from the centre of the box is close, but misses to the right. Assisted by Viktor Tsygankov following a set piece situation. Foul by Tefik Osmani (Skenderbeu Korce). Derlis González (Dynamo Kyiv) is shown the yellow card for a bad foul. Hand ball by Ali Sowe (Skenderbeu Korce). Attempt blocked. Serhiy Sydorchuk (Dynamo Kyiv) right footed shot from outside the box is blocked. Corner, Dynamo Kyiv. Conceded by Kristi Vangjeli. Attempt missed. Derlis González (Dynamo Kyiv) header from the centre of the box misses to the left. Assisted by Domagoj Vida with a cross. Attempt missed. Viktor Tsygankov (Dynamo Kyiv) left footed shot from outside the box misses to the right. Assisted by Tamás Kádár. Foul by Yevhen Khacheridi (Dynamo Kyiv). Ali Sowe (Skenderbeu Korce) wins a free kick in the defensive half. Attempt missed. Sabien Lilaj (Skenderbeu Korce) right footed shot from more than 35 yards is just a bit too high. Assisted by Gjergji Muzaka. Attempt blocked. Viktor Tsygankov (Dynamo Kyiv) left footed shot from outside the box is blocked. Assisted by Yevhen Khacheridi. Attempt missed. Ali Sowe (Skenderbeu Korce) left footed shot from outside the box is close, but misses to the left. Assisted by Sabien Lilaj. Corner, Dynamo Kyiv. Conceded by Orges Shehi. Vitaliy Buyalskiy (Dynamo Kyiv) wins a free kick on the right wing. Corner, Dynamo Kyiv. Conceded by Bajram Jashanica. Attempt missed. James Adeniyi (Skenderbeu Korce) right footed shot from the left side of the box misses to the left. Assisted by Kristi Vangjeli with a cross. Offside, Skenderbeu Korce. Sabien Lilaj tries a through ball, but James Adeniyi is caught offside. Yevhen Khacheridi (Dynamo Kyiv) wins a free kick in the defensive half.